Christmas is big and very important for Filipinos. Whether you’re an employer or businessman setting up a business in the Philippines, a lover who’s seriously dating a Filipino, or simply a person interested in foreign culture, you should understand how special this day is for each and every Filipino and their families. Since Filipinos are family-oriented people, “family” pertains not just to our immediate family but to our friends, badminton/tennis playmates, Church-mates, and officemates so don’t be surprised if each group celebrates Christmas with a huge party! 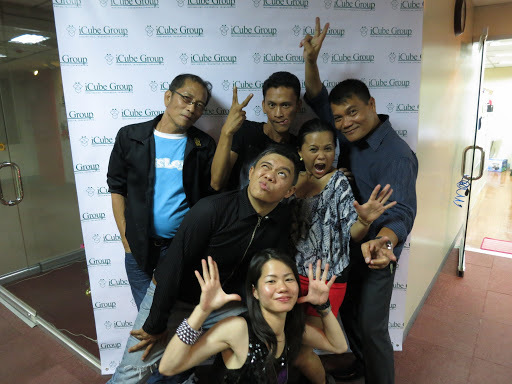 In my case, I didn’t let anything or anyone hinder me from celebrating Christmas with my family in iCube Group and experienced one of the happiest longest line game in my entire life! Haha. Thanks for the underwears and “Glam Rock” theme! My favorite Mama Dottie in her winning contribution to her team’s game! Before the group presentations when everybody’s nervous! 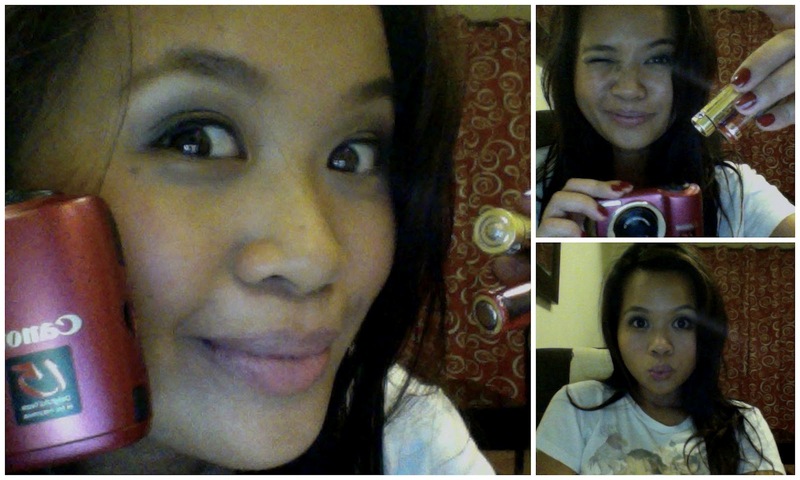 Wait til you see our winning video presentation where we played Dora, Doraemon and Unknown girls! Haha. 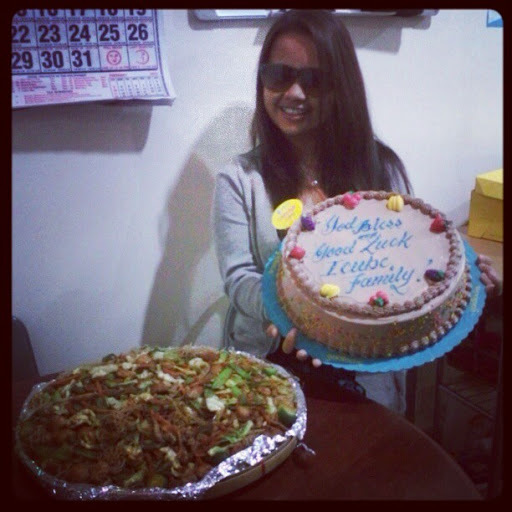 And as I kiss everyone goodbye this month, they didn’t let me go without a surprise party! I’ll miss everyone and all the fun but I know I’ll see you somewhere sometime! 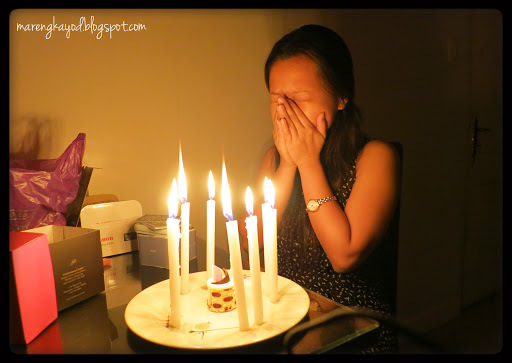 Thank you and from the bottom of my grateful heart, I wish for you to have a great year! Since I had a part of some stories published in the holiday issue of Brand Magazine, I decided to expand what I’ve written in the Magazine. 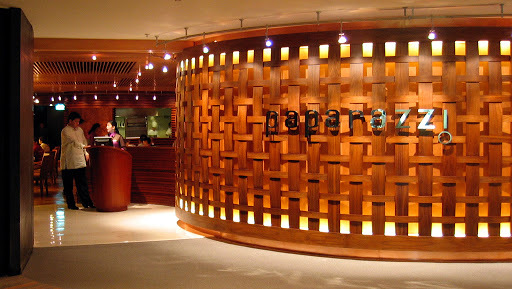 Here are some of my top restaurants (which I had so many memorable moments) in Manila that you may want to check out next time you visit the fun Philippines. Picking up the right restaurant for a first date has a huge impact on whether you’ll have a chance for a second date. A second-time-around “just okay” dinner might not guarantee you forgiveness or second chance. 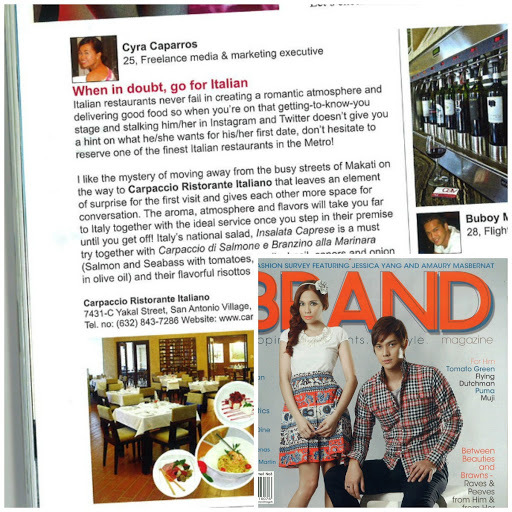 When in doubt, go for Italian! Italian restaurants never fail in creating a romantic atmosphere and delivering good food so when you’re on that getting-to-know-you stage and stalking her in instagram and twitter doesn’t give you a hint on what she wants for her first date, don’t hesitate to reserve one of the finest Italian restaurants in the metro! 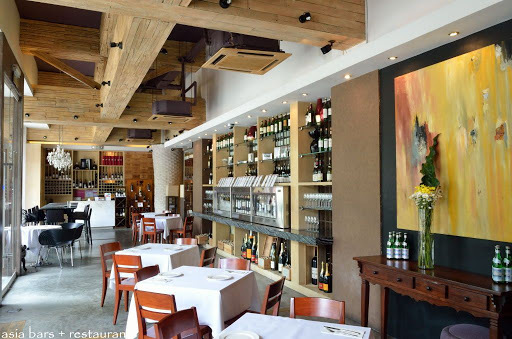 I like the mystery of moving away from the busy streets of Makati on the way to Carpaccio Ristorante Italiano that leaves an element of surprise for the first visit and gives each other more space for conversation. The aroma, atmosphere and flavours will take you far to Italy together with the ideal service once you step in their premise until you get off! Italy’s national salad, Insalata Caprese is a must try together with Carpaccio di Salmone e Branzino alla Marinara (Salmon and Seabass with tomatoes, garlic, basil, capers and onion in olive oil) and their flavorful risottos and pizzas! 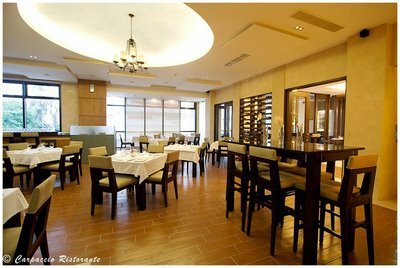 For a more accessible Italian restaurant, Paparazziin EDSA Shangri-la is a good choice that defines their culinary philosophy as la dolce vita (the sweet life). The dishes are presented in very modern ways which immerse the palate a very rich experience of authentic Italian cuisine. Adventurous? Dare to eat differently! People’s Palace is one of my favourite restaurants in any kind of date. There are some restaurants that I tried and like the first time but are never consistent on the second or third time but People’s Palace is true to its promise to deliver good food and superb service at any time and to anyone. 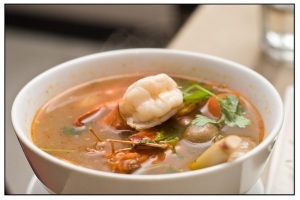 The Thai dishes are authentic and gorgeously presented. Tip: Try to sit in one of the terrace tables outside and you’ll surely loosen up those awkward moments and comfortably say what you want to say. 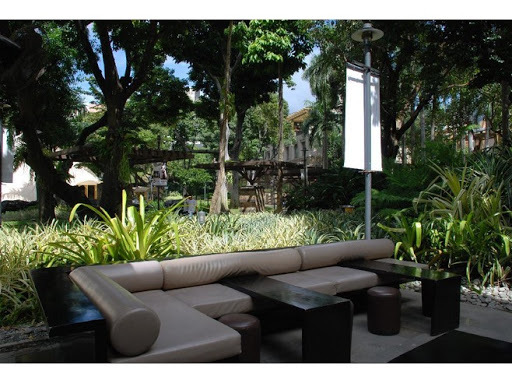 Greenbelt 3, Paseo de Roxas cor Legaspi St.
Be extra romantic and try continental cuisine in CAV Wine Shop- Café. I like the unconventional taste of the Sea Urchin Minestrone from their Dining Prix-fixe menu and if you’re a vegetarian, go for an Organic Poussin! I crave for the Roasted Seabass from their Café menu from time to time. TIP: Let the fun begin! Fully experience CAV Wine Shop- Café by tasting the eclectic selection of wines which the two of you will enjoy in 25ml (tasting), 75ml (half-glass) or 125ml (full glass) through a tasting card that they provide. You never know, your date might be an oenophile or a wine aficionado! But don’t forget to take it easy with the wines, a little kick to your confidence is good but too much might not assure you of a second date! 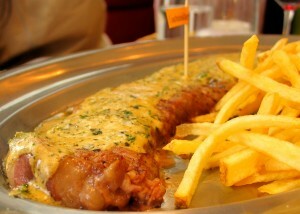 “Bon appetite!” is what I always remember about L’entrecote, a modern Swiss-French Steak & Frites bistro which is probably the Metro’s closest thing to that Manhattan experience everyone is talking about. First time I had the succulent steak and wine, I found myself wondering why the servers smile whenever they serve the food, then I realized that they were saying bon ap-pe-tite and keep their smile after uttering the word, indeed, this good service makes the dining experience notable. Long chat with your date is possible with their endless fresh hand cut fries together with the Steak topped with The Secret Herb Butter Sauce! Try the Original Swiss Fondue or the pan-seared juicy Foie Gras that are so mouth-watering. After a few question-and-answer, try breaking the ice by ordering the flaming dessert with sweet cream and fruit inside, Baked Alaska. TIP: Have a leap of faith! Sometimes, they serve free house wine if you’re lucky! Steak and Wine? That’s the expertise of Bistecca. Aside from the sophisticated ambiance, Bistecca only serves USDA certified beef and aside from their juicy steaks, they serve lobsters too! Tired of the traditional izakaya ambiance among Japanese restaurants? 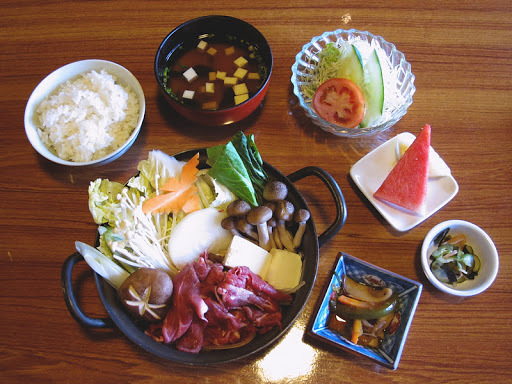 Why not sophisticatedly eat healthy food in Hanaichi Japanese Restaurant? I like the quality of service together with the commitment of its chef to continuous improvement by personally greeting and having chitchat with guests from time to time. 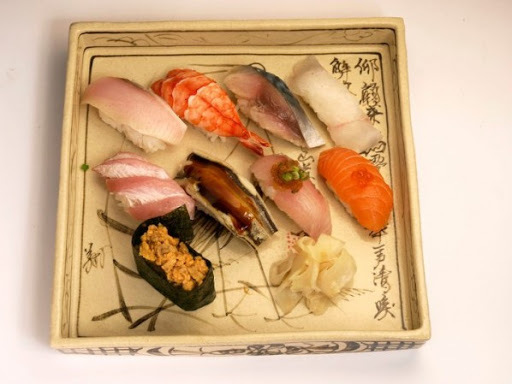 The Luxe Residences, 28th St.
Toki Japanese Fusion & Fine Dining makes me feel like I’m dining in Japan with its high-standard Japanese service. Though I really like their set menu, a la carte orders might help you start talking about the next date since they have perfect sharing portions. 2ndLevel, 32nd and 5th Bldg. Like what Julia Child says, “Life itself is a proper binge,” so enjoy each bite and have a taste of life! And remember, good food needs a good company. The planner that keeps me sane. My love affair with Belle de Jour Planner started in 2009 when I was looking for a planner that will suit my lifestyle as a young professional who was so in need of a beautiful space to write all my thoughts! I found some posts in my blog when I was talking about the cover of my BDJ Planner in 2010 and when I used the yearly goal planner. And since the BDJ Fair is less than 2 weeks away, here’s my photo with the beautiful bellas I met in BDJ Fair in 2010! Seems like it was just yesterday! I remember we met in a game then we all had our hairs curled! Haha. This is your chance to learn, explore, and meet beautiful people too! See you at the SM MOA Music Hall on October 14, from 10am to 10pm! Aside from their interesting line-up of guest speakers and fun activities, I’m super excited to check out the latest editions of the BDJ Power Planner, Navi: Your Lifestyle Navigator, and their newest babies — the everything is possible planner and newest edition of the BDJ FMN notebooks! The Belle de Jour (BDJ) Power Planner is especially made for the Pinay fashionista achiever.The term Belle de Jour (bel duh zhoor’) is French fashion lingo for Ït”girl and we have redefined it to mean the modern day renaissance woman who dares to achieve her goals, lives herdream life, makes a difference in her community, all while doing everything in great style. All pages reflect the uniqueness of the BDJ Girl. 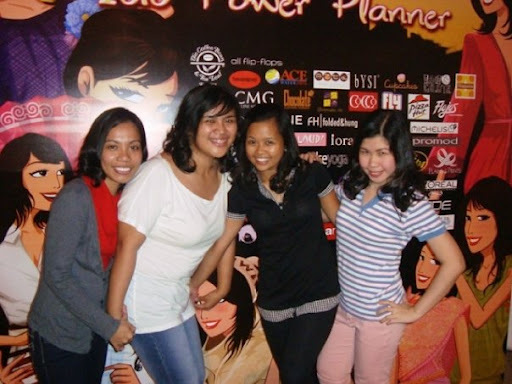 The BDJ Poer Planner includes time-management principles to help BDJ Girls manage their life better, articles and affirmations to inspire them to live life to the fullest and over Php20,000 worth of coupons – to remind them of work-life balance. Who wouldn’t want to see the world? Inspired by the traveler who embraces uncertainty, NAVI: Your Life Navigator, reminds us about the importance of going places and belonging in those places. On their fourth year, NAVI 2013 encourages us to ask the important questions and to be aptient with getting answers, while still keeping our life goals in check. With its low-key travel- themed design, inspiring travel articles, and plenty of space for notes every week, NAVI 2013 is the must-have planner for men and women who want to keep moving forward in life. The BDJ Forget-Me-Not line is the ultimate companion to the BDJ Planner. Purchase one or all of these handy pads separately for the endless things you need to write down. Take a moment to write things down and never let a brilliant idea go to waste, this is your perfect idea pad. Keep your cash in control and be on top of your tasks with SAVE/DO, your dual=purpose pad for tracking cash and to-dos. 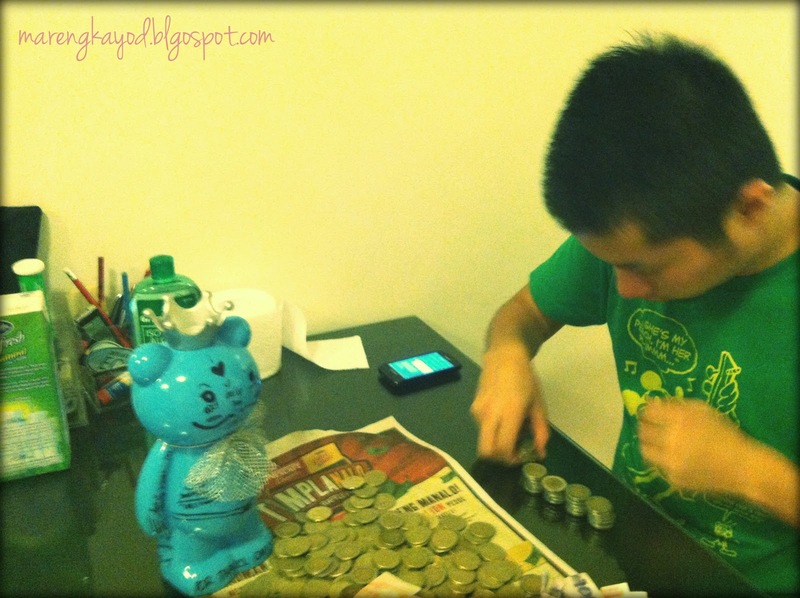 So, the photo above is our savings! Yohoo! 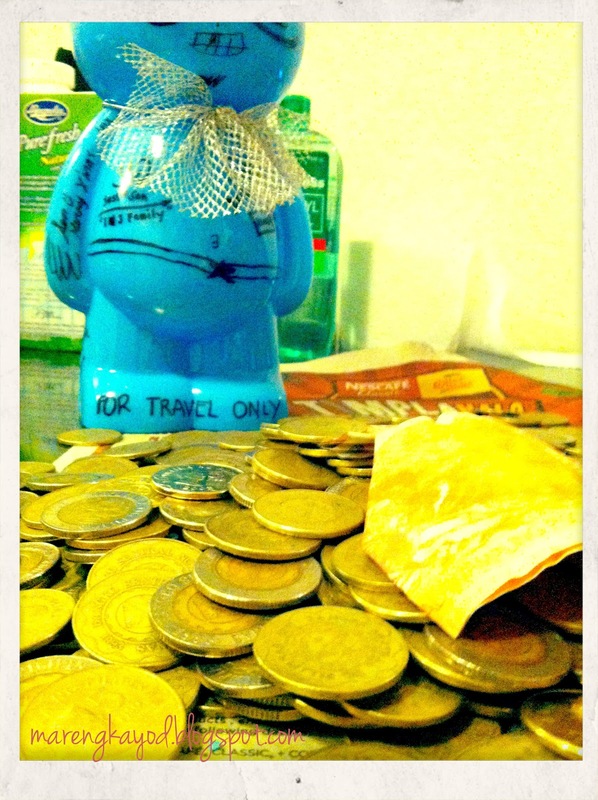 But as you can see, I’m not suppose to use it for shoes or dress, it says “FOR TRAVEL ONLY” and it’s not even mine alone, Taku put some 10 & 5 peso coins there for the past months! We got a total of 3,500 pesos! I thought we have 6,000 already 😦 but I’m wondering where could we go with this! This is my headband. I put white ribbon in it and made it a necklace. Yey! Since this necklace is in my closet for so long (given to me by a gorgeous friend, Rochelle) and I’ve found a nice white top, I worn it and took a photo cause I want to remember when Taku looked at it 4 times trying not to laugh. Then he sent me a message during lunch saying “How’s your curse working?” I swear he’s so not into fashion! 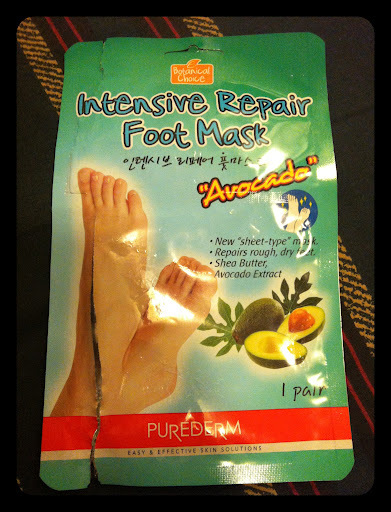 But just last week, I had fun having Avocado foot mask with Taku (Korean experience)! Haha. Look how the guy liked it! 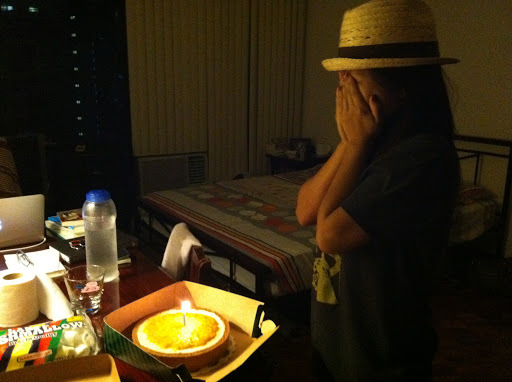 Probably, we’ll do this again cause my feet got a bit softer. Monchhichi is off to Great Places! It’s funny that whenever I check the stats of my blog, one of the mostly visited post is Monchhichi’s New Home. I expect that my serious posts will score the highest but I can imagine how many more people were charmed by this cute fella worldwide! 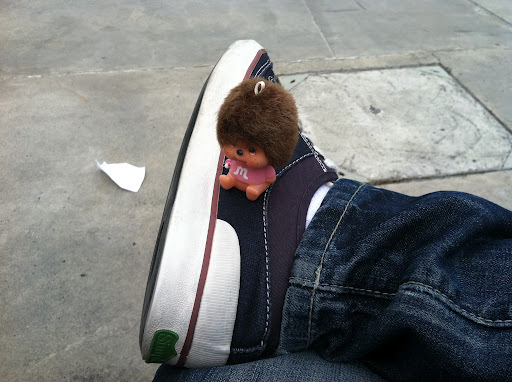 Since most of my friends miss her in my bag and my stories on how Taku compares me with Monchhichi, here’s some of her photos while she wanders with us. This was taken at Bonifacio High Street in BGC when we were goofing around before my bag with most of our valuable things were stolen. Here’s the story and video about that learning experience. 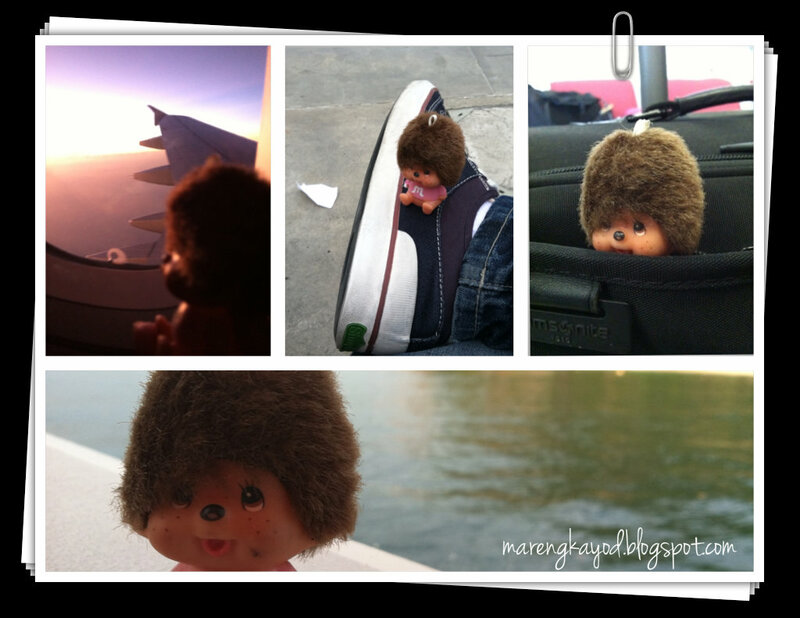 Monchhichi wandered a lot in 2011: Singapore, Boracay, Palawan, Bali, Japan and LA. I am very petite but sometimes I wish I am just as her size so it’s easy for me to fit in the luggage or better for Taku to be same with her size so I can put him in my pocket so it’s always a sun-shiny day! haha. 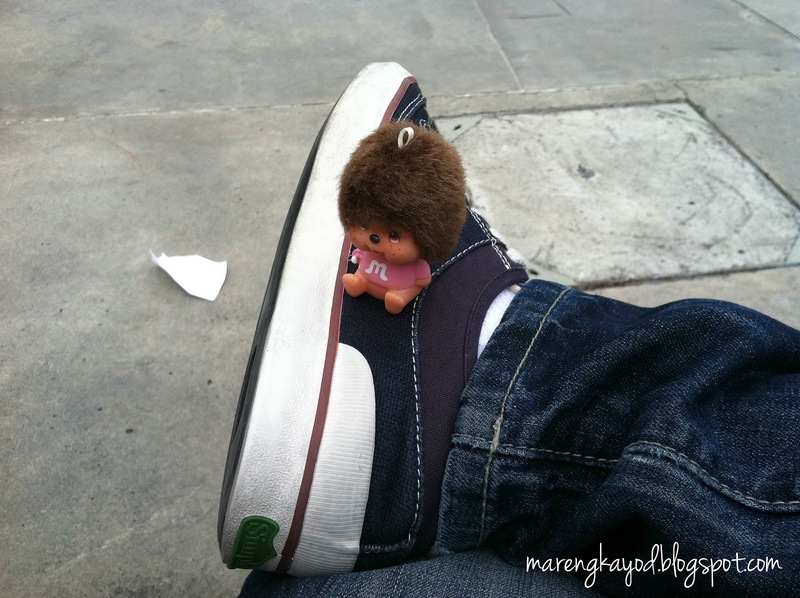 I don’t intend to collect all Monchhichi items that I see in stores (as if there are many in Manila!) since I try to live with less and basic things to save more and maximize the use of everything but I opt to keep those which are really cute, small and useful. 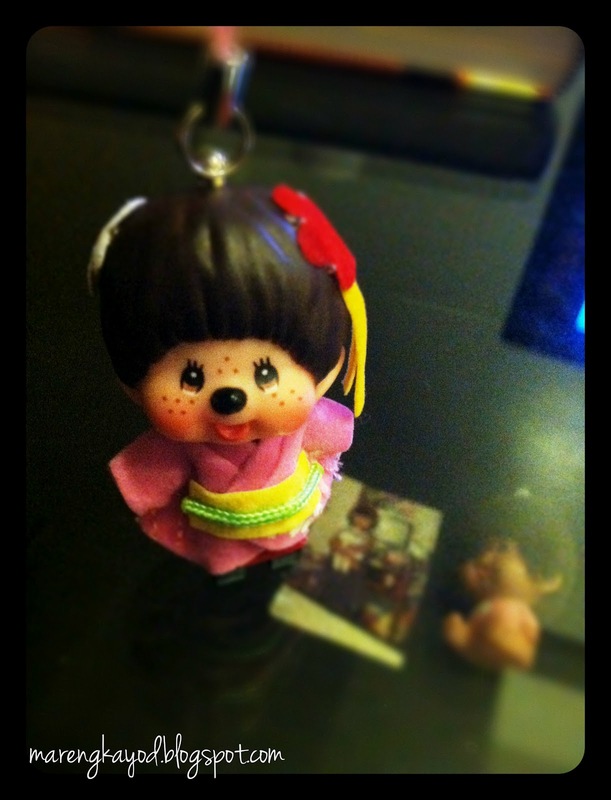 But I am keeping my Monchhichi from Kyoto! You’ll be on your way up! You’ll be seeing great sights!